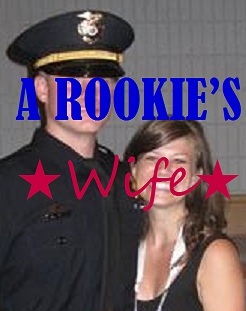 A Rookie's Wife: Who Doesn't Like Bacon? Officer and I have been married just under 4 months, however, it hasn't taken me long to grow fond of being the wife of a cop (police office, boy in blue, pig, etc). I feel associated with this label, and I wear it proudly. The same way my husband wears his badge proudly- and is proud to serve his city. Sometimes, I find myself wondering why... The city is so ungrateful back to him. Officer strives to, as Kayne would say, "work it harder, make it better, do it faster, make us stronger," constantly trying to change the image of the police officer: be nicer, work quicker, show compassion, improve the city. But, like with any stereotype, it takes more than one to break the mold. And, unfortunately, it only takes one bad apple to ruin the bunch. Which leads me to the title of this post, Who Doesn't Like Bacon? Apparently, everyone. When someone asks me what my husband does for a living, I puff my chest and say, he's a police officer (in my head thinking, ahem, he lays his life on the line every single day for you and your family to have a safe place to be - give him some props now). But, inevitably, what do people do? Oh, one time when I was pulled over, this police officer was so awful to me and was rude..... You know the stories. Is this a way for me to connect with you? Because it completely turns me off from you. Sometimes after they finish their story I want to say, "Oh, OK. And what do you do?" And when they answer (let's just make them answer they're an accountant - I'm an accountant so I will sacrifice myself here)- Oh, this one time, an accountant completely screwed up all of my taxes and I had to pay into the system when I could have had money back. If only those bean counters were more competent. None of them can get you the deductions you need. They just push through the paper for some cash money. Would you feel connected to me, too? I'm going to guess you wouldn't. Let's travel back to my high school years. I dated a kid that was a real trouble maker and definitely shaped my view of cops. He was always "wrongly accused,” "profiled,” etc. Even once I was "profiled" (term used loosely) as a drug dealer. Let's look at the facts, though. I was dating a drug dealer (in my defense, I was naive and thought I had changed his life and that he was clean - ha), after being pulled over I went and talked to a drug dealer (again, no idea… I was kind of sheltered growing up). Sounds like reason enough to me for them to be cautious. However at the time, to me, it was offensive. I'm proud to have never done drugs in my life - heck, I've never even smoked a cigarette and I didn't drink until I was 21. Didn't they know that about me? Ha, was I ever ignorant. It was for their safety and the safety of their town that they were inquisitive. What about my actions did I think should’ve made them feel safe? The fact I was speeding in a residential neighborhood and all of the above items? Clearly, they should have just known. Right? Yep, Officer told me while he was in the academy he learned how to read people's minds and instantaneously know if they were a good or bad person - ha! Clearly, they had to approach the situation with the little facts they had. For Officer's safety, I want him to treat each and everyone person as if they will shoot him. While in the academy, he watched video after video of unsuspecting suspects shooting police officers while on traffic stops. Including grandmas (after she had already given her license and registration), Dads (with kids in tote), and all sorts of makes and models of cars. Anyone can be dangerous! Did I mention that Officer is a husband, brother, son? He's a person! I want him to safely come home to me every night. Just like anyone would be cautious approaching someone they didn't know and who had just broken the law - he does the same thing! That last sentence leads me to what is hopefully my final thought of today. "Just broken the law" But I was only going a 5 mph over! Gosh, let's go back to my accountant example. I only cooked the books by a little bit!! Oh, what's that? It's not OK for that profession to let it slide? Hm.. I'm starting to see a double standard here. Well, Officer doesn't have a quota - he won't be in trouble if he doesn't write X number of tickets a month, contrary to popular belief and TV shows that sensationalize the job. Officer isn't even out to write tickets. All the time he tells me he "wants to catch bad guys". How do you catch a bad guy? Pull him over for something that you can. Maybe you pull him over for a broken tail light, expired tag, etc. Maybe the person you pull over isn't a bad guy, but an honest person who didn't know that their tag was expired. Unfortunately, it's still breaking the law. You might have the cop that doesn't write you a ticket, or you might have the one who does. Either way, can you admit you were in the wrong? Even innocently? Bottom line is, they had a reason to pull you over - no matter how insignificant it was. I will be the first to admit every time I've been pulled over there has been a reason. These cops are out to enforce the law and I was breaking it. At the time, did I feel undeserving of a ticket? Absolutely! I'm a law abiding citizen, go catch a criminal! Perhaps, that's what they had been trying to do and on the same token, I was still breaking the law. Officer has been on the police department for just over a year now. He's worked in the grittiest, most unappreciated parts of the city and really tried to make it better. He's given everything to catch bad guys and recently had to have back surgery because of it. It is his job, but he can't leave his work at the office. It's 24-7. Officer wears his body, mind and soul out trying to Protect and Serve. He's become calloused to the unappreciativeness of the city, state and nation. And because of that, he's able to continue to work hard. But, as his wife, it pains me every day to hear the things people say, read comments on stories, etc. I hope this blog will become a place where people can share in that pain, educate themselves on police officers and their behavior, and understand that there is a human behind that uniform. Boys in Blue have a beating heart, too. and "LIKE" it while you're there...I am looking to take the Show on the road, so let people know and of course I will let you know when I am "coming to a City near you..."
The writing helps, trust me. You are now officially part of a bigger community, and we "get it."